The Centennial Cheer team placed eighth out of 22 cheer teams at State Comp. “Some things we need to work on is that we definitely have to get more boys, we need to condition more, more people need to join, have a better attitude, work harder, and I think cheerleaders should take strength,” Marino says. Cheer is a great way to make some new friends, Marino said. 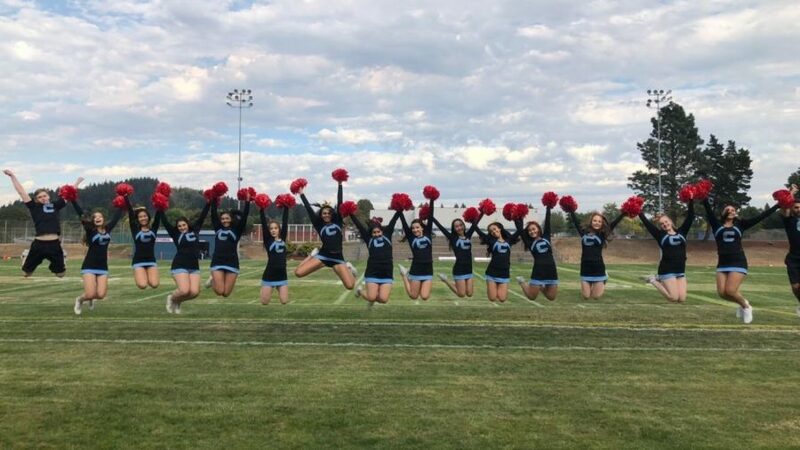 Centennial Cheer Team is always looking for more people who want to join. Cheer tryouts for next year’s team will be in May. The Talon will post tryout dates and times, but students could also check with the Athletic Office.